The American Chamber of Commerce in China (AmCham China) said Tuesday it welcomes China's drafting of a new law for foreign investment, which is expected to help attract more foreign capital into China and speed up economic reforms. The Ministry of Commerce said on Monday that it is soliciting public opinion on a draft of a new foreign investment law, which is aimed at easing restrictions on foreign investors and granting them easier access to the Chinese market. The law will give "pre-establishment national treatment" to potential foreign investors and adopt the "negative list" approach that is used in the China (Shanghai) Pilot Free Trade Zone (FTZ), said ministry spokesman Sun Jiwen at a press conference on Monday. Pre-establishment national treatment means that foreign companies will be entitled to the same treatment as domestic firms in their establishment and development. China currently uses a negative list approach for foreign investment in the Shanghai FTZ, which was launched in September 2013. It allows foreign companies to invest without any restrictions in all areas except those that are on the list. "We support a revision of the law that will ease the approval procedures for the establishment and operation of foreign-invested enterprises in China," James Zimmerman, chairman of AmCham China, wrote in a statement e-mailed to the Global Times on Tuesday. The new law could also "provide for greater market access and the reduction of trade barriers that impact American companies," he said. Zimmerman also said that AmCham member companies are currently reviewing the draft law. The European Union Chamber of Commerce in China did not reply to a Global Times request for comment by press time on Tuesday. "The new law means doing business in China will be more convenient [for foreign firms]. It will have a positive impact on attracting more foreign investment and injecting more vitality into the Chinese economy," Feng Qiaobin, a professor with the Chinese Academy of Governance, told the Global Times on Tuesday. According to the draft law, the time it takes for foreign-backed firms to register a new company will be greatly reduced. According to the experience in the Shanghai FTZ, the process will be about 15 days faster than the current norm, news portal thepaper.cn reported on Tuesday, citing people familiar with the matter. These measures can also be seen as a further opening-up of China to global commerce, Feng noted. In 2014, a total of 23,778 foreign-backed companies were set up in China, an increase of 4.4 percent year-on-year, according to data from the Ministry of Commerce. "The new law will be a national one. And it means the successful experience in Shanghai will be duplicated and promoted across the country," said Bai Ming, a research fellow at the Chinese Academy of International Trade and Economic Cooperation. 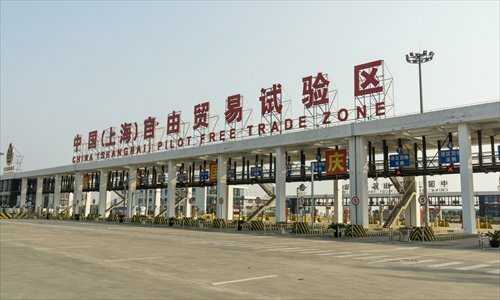 In December last year, China expanded the FTZ in Shanghai and announced the approval of three new FTZs in South China's Guangdong Province, Tianjin Municipality in North China and Fujian Province in East China. The new draft investment law also stipulates that foreign companies will have to report changes in their operation and investment plans on a regular basis to the relevant government agencies. "Such a practice will help local governments to get a better understanding of the operation of foreign companies in China and make sure they comply with Chinese laws," said Bai. "The new law would also require government agencies to change their role into that of a service-oriented official body, for instance by engaging with foreign companies more actively in order to get to know their investment preferences and methods," Feng noted. The three current laws governing foreign companies' investment and operation in China will become obsolete once the new law is in place.